As you already know I have a bit of a passion for the Brand DHC from Japan, I wanted to use this product post to talk a bit about the whole Japanese Beauty subject, why are we so obsessed about other cultures beauty regimes ? The thing that bought me to these thoughts was DHC Face Wash Powder a combination of ingredients including Corn Starch ! Lavender and Honey, I recall back in the 80s when the Body Shop were obsessed with bringing us products from other cultures there was a Japanese chalk powder face wash which was said back then to be what Geisha's used, I didn't get on with it, however this is a totally different ballgame, yes it's powder but it is just the best thing ever to use, damp your face with warm water sprinkle a little powder into your palm, run hands gently together and begin to massage on your face, within seconds it has turned into a luxurious cream texture that removes dead skin cells to brighten up your complexion on the first use. DHC say it turns into a lather, I would describe it more a face cream that a soap lather. I flipping love it and it was this that got me thinking about the whole topic. Japanese women consider skincare a ceremony not a routine it is taught to young girls from an early age and is as normal as brushing your teeth, looking after the skin is treated as a pleasure and a way to relax, this I think we are doing more and more in the West, they double cleanse followed with ( lotion) Toner to us, which is then followed with (Milk) Moisturiser to us. 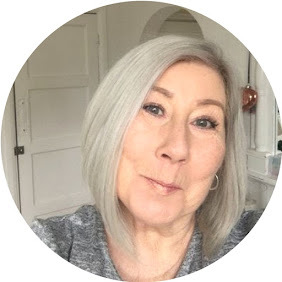 this ritual is followed both morning and evening, this four step routine is carried out as though it is all perfectly normal, as the idea ( and rightly so ) is that if the skin is not scrupulously clean it will not absorb whatever goodness you give it. The craze of Sheet masks was developed from the ancient Geisha practise of laying Kimono silk that had been dampened in flower water on the skin. Mei-nai Oshareh / unseen beauty is the true belief behind Japanese Beauty, believing beauty that radiance comes from inner beauty and confidence, which is something we could all use. 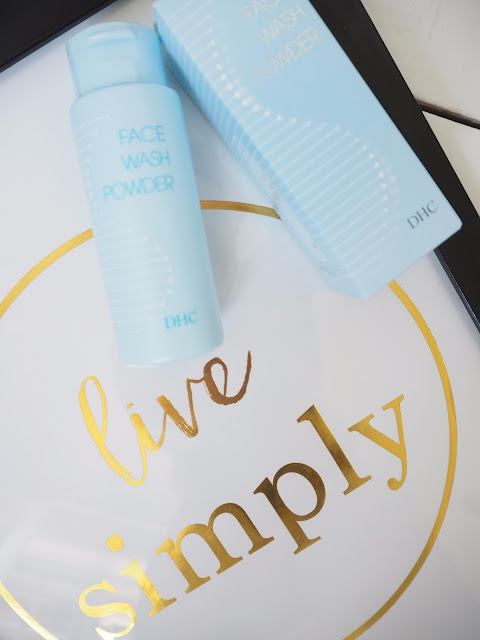 So far I had only samples and cleansing oil from DHC but have been eyeing their products a lot (but have a huge stash of different skincare already) and I noticed this powder, sounds real good and fun. I definitely need to try out this products, it seems so interesting. I've never thought about a powder to wash my face with. This Powder is amazing Alex, it was a real pleasure to use, I am 100% with you on sheet masks.